ACOUSTIC EXPO 2014: The North American Guitar was founded by entrepreneur and keen blues guitarist Robert Montague, CBE, in 2010. Having experienced first-hand the pleasure of owning a bespoke instrument, Robert decided to start a new company to bring the work of the guitar builders of this new golden age to wider attention. Their stunning London Guitar Showroom, based in Fulham, on the Munster Road, is home to some of the world's finest luthiers such as Michael Greenfield, Jason Kostal, Froggy Bottom, Lame Horse, Scott Walker, and many more. A family business at heart, The North American Guitar is collectively run by Robert's son, singer-songwriter Ben Montague (BBC Radio 2), and Michael Watts, an award-winning fingerstyle guitarist and expert in the field of modern lutherie. Kostal Guitars have a characteristically orchestral sound with a full, warm bass response and rich trebles. Supremely expressive instruments, they boast an immediate response and wide dynamic range that makes them perfect for the modern fingerstylist. Father and son team Chris and Jeremy Jenkins of Lame Horse guitars build extremely cool guitars in their respective workshops in Texas, USA. Combining touches such as fully adjustable necks (for tweaking your action on the fly) with an early 1930s style, these guitars are packed with mojo. 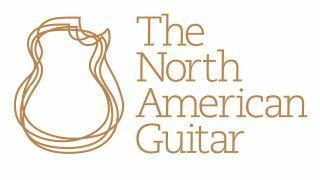 For more information on The North American Guitar, or to arrange an appointment to visit please visit their official website or email hello@thenorthamericanguitar.com or call 0207 835 5597. You can also connect with them via Twitter, Facebook and YouTube.